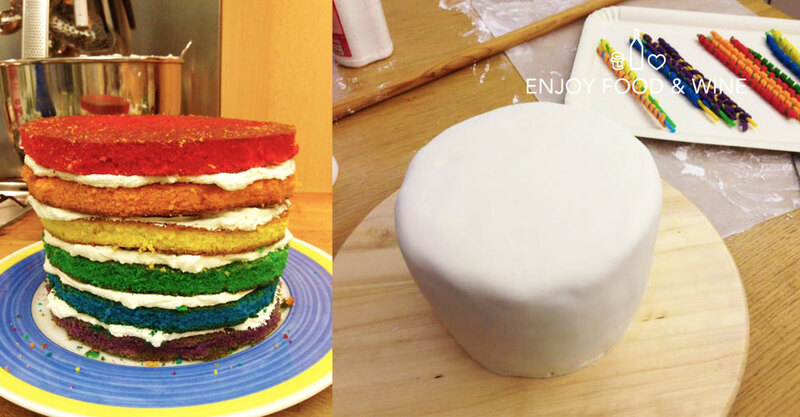 Home » Rubrica Mangiare » Eli’s Carnival Cake! In the month of the Carnival, I thought to suggest you a funny and amazing cake, that can cheer you up! This cake is a triumph of sweetness and colour: six layers of soft cake that remind Arlecchino and the rainbow. 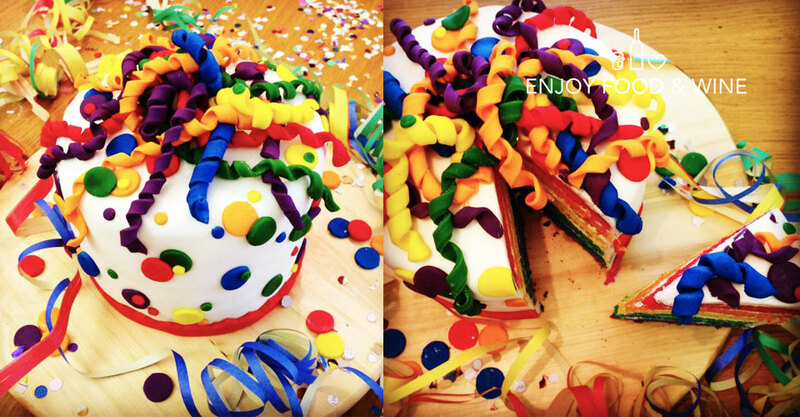 It is stuffed with Mascarpone cream and covered with streamers and confetti. The dough of the cake is that of the English Victoria Sponge Cake, famous to be the favourite cake of Queen Victoria for the tea time. It is really good, more structured of the traditional sponge cake and it is easier to prepare. The bases of the Carnival’s Cake, once stuffed, are covered with butter cream. Then, they rest in the fridge for some hours; the decoration, then, needs to dry for some hours in a cool and dry room. It is preferable to start the preparation of the Carnival’s Cake the day before serving it, as it can rest for one night and at the very last moment complete it with the decorations. Place sugar, butter and the phials of vanilla in the dough mixer and beat the ingredients for at least 10 minutes at the maximum speed, till it becomes a clear cream, spumy and uniform. This is the most important passage to give softness and make the cake lighter. Sift the flour with the yeast and a pinch of salt. Mix together an egg and spoon of flour one at a time, mix and do not add other eggs until the previous one is not well mixed. Continue to introduce an egg and a spoon of flour till you finish the eggs. Add the flour, mixing from the top to the bottom with a wooden spoon and drizzle in 135 ml of milk to make the dough creamy. Divide the dough in six bowls, weight it in order to obtain six doughs with the same weight. 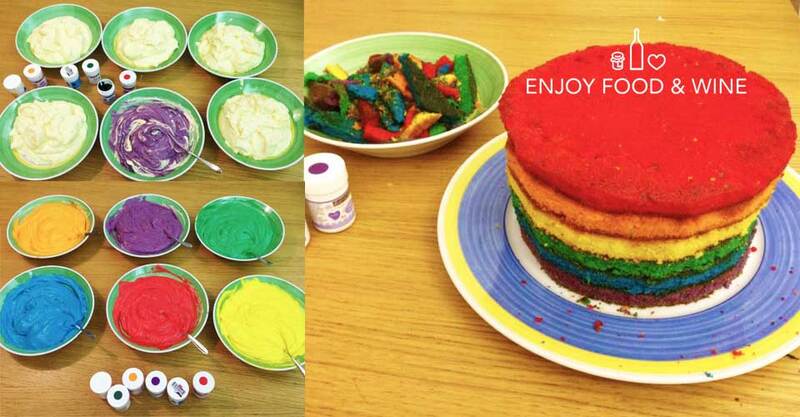 Pour in each bowl half a spoon of food colouring and mix each dough till you obtain bright colours. Do the same thing for each colour. Once cooled, cut possible irregularities in order to make them easy to stack them up. Once stacked, cut the borders in order to obtain a perfect cylinder. Whip the cream adding powdered sugar and make it rest in the fridge for some hours. Add gently, with a wooden spoon, Mascarpone and Marsala, till you obtain a homogeneous cream. Stuff the cake, layer by layer, with abundant Mascarpone cream. Keep the cake in the fridge and in the meantime prepare the butter cream. Keep also the left cream. Blend the butter with the sugar, pouring little by little the milk, until the ingredients will be perfectly mixed and then mix them in the dough mixer at the maximum speed. You will obtain a spumy cream, clear and smooth. Add the Mascarpone cream and mix gently. Cover the cake with butter cream and smooth the surface with a spatula. Place in the fridge and prepare streamers and confetti. Round mould of two different measures to cut the dough. Prepare a ball of sugar dough for each colour, mixing the white dough with a little food colouring till you obtain bright colours (or you can buy it). Roll the dough with a rolling pin. 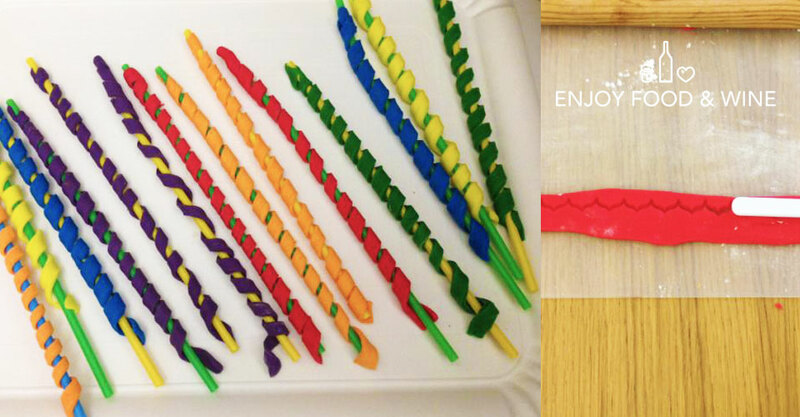 Round the dough around the straws. Rest for one evening (the cake goes in the fridge and the decorations in a dry and cool place). Roll the white sugar dough with a rolling pin (sprinkle the surface with powdered sugar can help you), making a circle with the diameter of the cake and its sides, in order to cover the whole cake. With a rolling pin, place the dough on the cake. With a spatula, smooth the top and with the hands stick the dough to the cake, paying attention to not make folds. Pass with a spatula the surface of the cake and with a knife cut the extra dough. 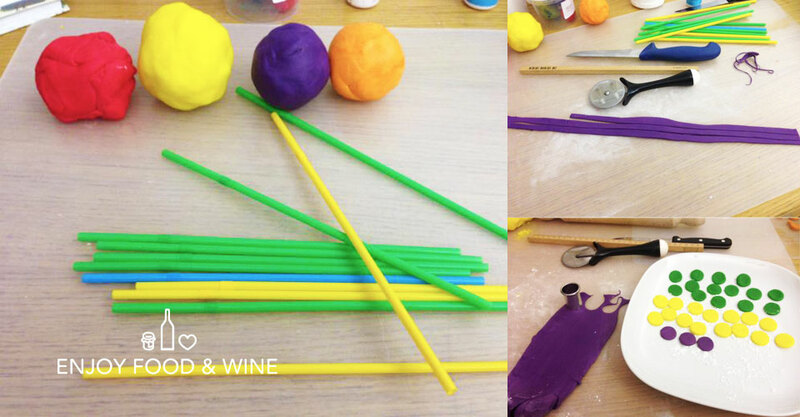 Then, roll the red ball and with a cutter, define the draw that you want to obtain (it can be also a stripe of dough). Place the stripe on the base of the cake and stick it using water. Decorate the cake with streamers and confetti, remind that the sugardough sticks with little water. Et voilà, your Eli’s Carnival Cake is ready!